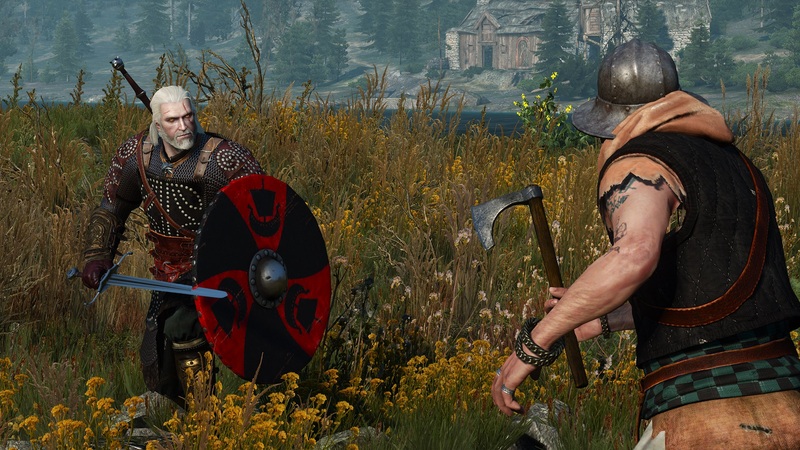 The Witcher 3, the latest entry in the series developed by CD Projekt Red, has been released almost two years ago, and the modding community is as active as ever, creating mods which change the way the game is played. A recently released mod introduces a new mechanic that, while not exactly lore-friendly, spices up the experience a bit. The new The Witcher 3 mod is called Shields and, as the name suggests, allows Geralt to use shields. The mod introduces shields from every faction of the game as well as a new customization menu. Shields can be used in combat for blocking incoming attacks, arrows and giving an extra resistance to heavy-hitting attacks. Geralt only blocks from the front using the shields, so you can get hit by an arrow from behind. There are shields from every faction from the game, from Skellige shields to Ofieris shields and Toussaint shields. There is an in-game menu for feature customization under the options menu, though you might need to re-equip the shield to apply the effect. To use shields while on horseback and climbing, download the Better Torches mod. Huge shoutout to erxv who made the shield combat possible, without him they would be just a cosmetic! Go show him some love! For more information about the Shields mod, you can check out the mod’s Nexus Page.